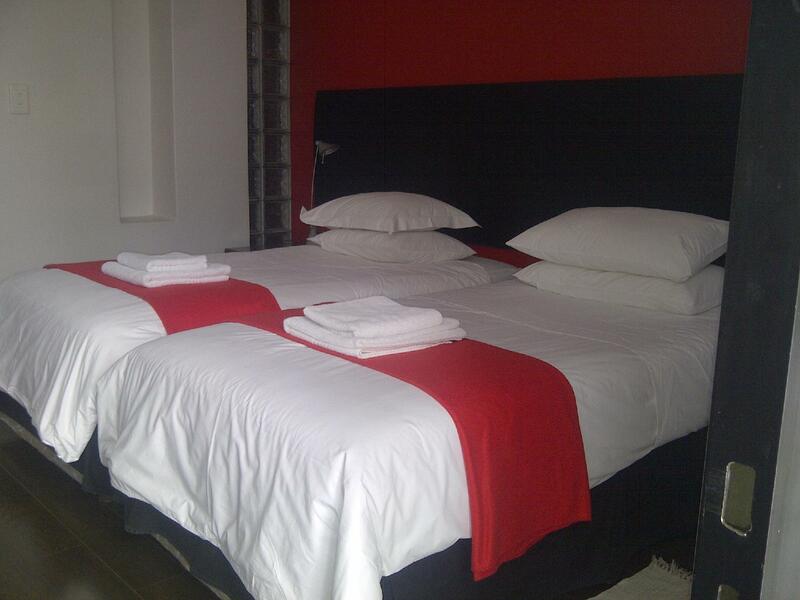 ﻿ 21 Kingfisher Guesthouse Johannesburg. JIMAT di Agoda.com! Ada soalan mengenai 21 Kingfisher Guesthouse? 21 Kingfisher Guesthouse, terletak di Sandton, Johannesburg, merupakan satu pilihan popular bagi para pelawat. Hanya 2 Km dari pusat bandar, lokasi strategik hotel memastikan tetamu boleh ke mana-mana sahaja dengan cepat dan mudah ke tempat-tempat tarikan. Syurga untuk berehat dan bersantai, hotel ini akan menawarkan pembaharuan penuh hanya beberapa langkah dari pelbagai daya tarikan bandar seperti Gim Virgin Active Randburg, Design Quarter Shopping Centre, Fourways Mall. Menawarkan tetamu hotel perkhidmatan yang unggul dan pelbagai kemudahan, 21 Kingfisher Guesthouse komited untuk memastikan penginapan anda berada di tahap seberapa selesa yang mungkin. Hotel ini menyediakan akses kepada pelbagai perkhidmatan yang luas, termasuklah Wi-Fi percuma semua bilik, pengawal keselamatan 24 jam, pengemasan harian, dobi layan diri, daftar masuk/keluar peribadi. Masuklah ke salah satu dari 9 bilik tetamu kami dan tenangkan hati anda dengan pelbagai kemudahan seperti televisyen skrin rata, internet wayarles, internet wayarles (percuma), bilik larangan merokok, pemanas yang boleh didapati di beberapa bilik terpilih. Hotel ini menyediakan kemudahan rekreasi yang baik seperti padang golf (dalam jarak 3 km) , kolam renang terbuka, rumah urut, taman untuk membuat penginapan anda benar-benar tidak dapat dilupakan. 21 Kingfisher Guesthouse merupakan tempat yang ideal bagi penginapan pelancong yang mencari keindahan, keselesaan dan kemudahan di Johannesburg. Sila ambil perhatian bahawa haiwan kesayangan dilarang sama sekali, kecuali anjing pemandu untuk cacat penglihatan. Good location for the 94.7 but the staff use every excuse for the place not being maintained. The pool was not usable. Poor breakfast offering. This place is well past its sell by date. The managers attitude was pathetic. We will never use this place again. Staying at 21 Kingfisher was one of the best decisions for our family! From the friendliness of staff to the comfortable rooms, complimentary biscuits and free WiFi to the ideal location, this guesthouse is one worth visiting! The daily breakfast was a nice spread of fruits, yoghurts, cereals, muffins and diy eggs and toast with jams, and cheeses to choose from. The all-hour accessibility of the main kitchen and sitting areas made it feel very homely and welcoming. The rooms are also cleaned daily. The only minor qualms we have is that the WiFi wasn't always working, the one blind in the bathroom seems to 'stick' and parking becomes limited and awkward when many cars are parked inside the premises. Otherwise, we would definitely recommend 21 Kingfisher and thoroughly enjoyed our stay! Excellent set up brilliant service. Very clean and comfortable. Has all the specs of a big 5 star hotel! We had a short stay so we did not make use of a lot. Found it comfortable, nice surroundings. Liked the interior decor! I stayed there for 5 days on business and at first was very impressed when I arrived. the first manager I met was very friendly and professional. However next morning I missed breakfast because he forgot to tell me it is only from 7-9am. "oh sorry I forgot", was his response. The breakfast was a kitchen counter laid out with supermarket packaged muffins and croissants, a small container with fruit salad, eggs next to the stove for you to make yourself and Albany toast, tea, and a water boiler. Once another guest noted that there was no more fruit salad and the manager responded "and? you eat what is there!" I really made sure the TV was as quiet as possible and still, there were constant knocks from my neighbour when the volume rose a little during an action scene or music. I soon realised that it was THE NIGHT MANAGER who was staying in the room next to me, who kept knocking because HE was hearing the TV (it was mounted on the wall adjoining his room!) NO other guest complained about my noise (that was barely existent) so he was merely knocking for his own comfort that was being disturbed by the unusually thin walls! On the last day the manager told me he had to leave an that the maids would do the checkout. After having been a guest there for 5 days, he merely walked out and looked at me and said: "bye" no "thank you", no "did you enjoy your stay with us?" no "we hope to see you again!" The service was disappointing and even though the guest house was very nice, comfortable and clean (though a little run down if you looked TOO closely), I will not be staying there on my future trips to Joburg. Beautiful place, but with that service you are much better off at a nice self catering place. I have stayed in many 4* guesthouses, and this is definitely not 4*. 21 Kingfisher is good enough, but not good.. Under floor heating Great shower! It was worth the money. I will definitely stay there again! Stay was moderate and I can clearly say it is a very nice hotel to stay and good budget. 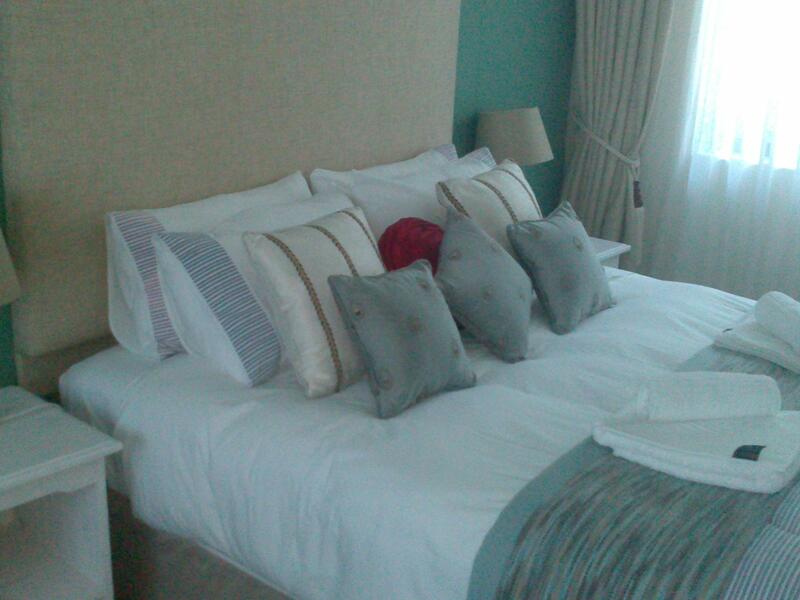 We really enjoyed our stay, the manager was very dutiful and runs a very efficient operation. No complaints about the room. Parking space very limited. When we arrived from breakfast the next morning, they had the basic cold food and we were told if we want toast or eggs that we can make it ourselves????? First time in my life where we had to see to our own breakfast. We got up and left to have breakfast elsewhere. Rooms are spacious and equipped with TV, bar fridge, coffee and tea, as well as wireless internet facilities. Rooms are opening up to an inviting pool area. 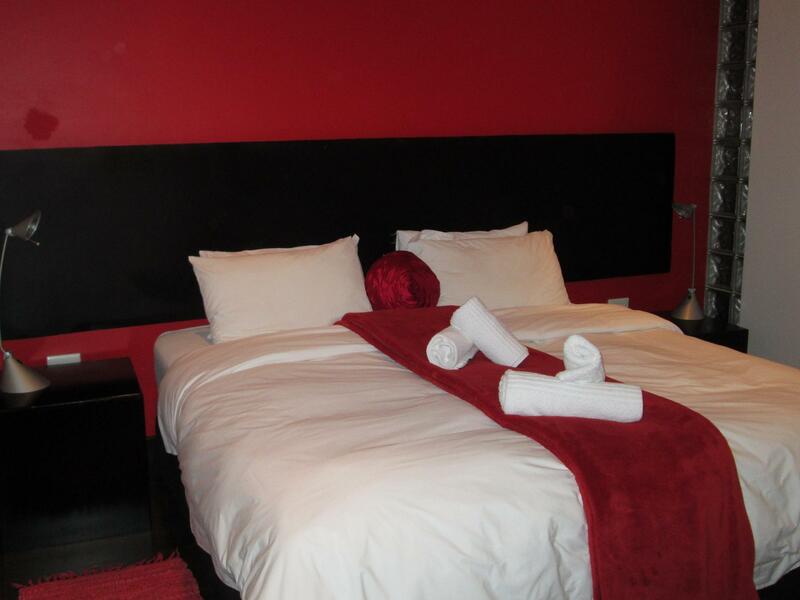 The guest house is well situated in the northern suburbs of Johannesburg, easy to find and very close to Monte Casino, and within 10 Minutes driving time to the Coca Cola Dome. There is a small shopping centre within walking distance as well as a service station, making it easy to cater for in house meals at lunch or dinner. Simply put Kingfisher is a great guesthouse that I'd recommend to friends and family.